Ajeng Belajar Merajut: How to: My steps on making knitting pattern. I am blessed as one of knitters who can convert my knitting into written pattern. I know many of my knitter friends who have difficult time to actually making knitting/crochet pattern. For my opinion, the key is do not overthinking and just do it (or I should say write it). Don't be afraid to make many mess. Sketches, formulas, words.. I usually grab any paper near me (usually shopping receipts that scattered around my desk and in my wallet) to writing before I forget. 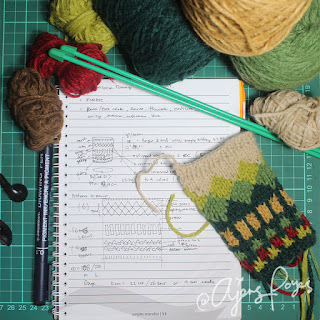 Here are steps I usually do everytime I want to make new knitting or make knitting pattern. I know ideas are always overflowing and want to be picked first. I always choose one of that many that I most interested with (because knitting with happy heart is alway better), or with the easiest-to-get resources. 2. Quick choose the yarn and needle. Many yarns out there. I bet every knitter already have one or two most favorite yarn to use. I usually using one kind of yarn in many of my knittings. This can save time from window shopping looking many yarns and also from choosing wrong yarn. 3. Sketch the finished picture and imagine how it done. Put your imagination into picture. No need to be an artist with beautiful drawing, it is enough as long as you can understand your own drawing. We make it for ourselves. And in the process, you can imagine how that drawing to be done, what books you will open, what stitches you will use, where you use them, etc. Yeah.. let that mind flying while your finger drawing. Yep, we need researching. Find any basic pattern that close with what you want to do. 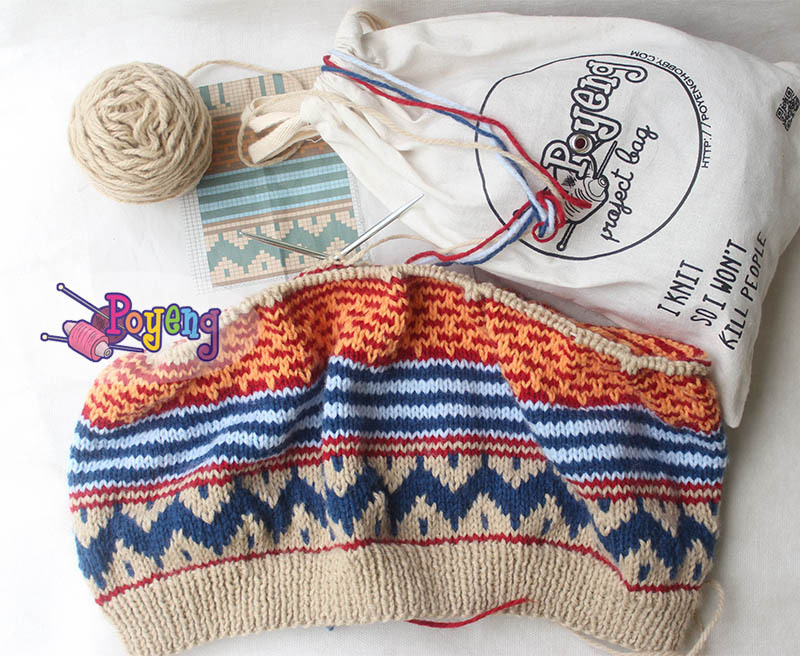 Example : you want to make a design of beret hat, so find some basic beret hat pattern for reads. Open your stitches book, designing book, patterns stash, etc as you see fit. And take a note or compile the findings which you see fit with your finished picture's sketch into one corner of your work desk to be opened later. make the swatch and then determine how many cast on, how many rows, where the stitches should be, where the colors should be, etc etc enough so you can start to make the sample knitting. While you admiring the knitting sample you freshly finished, now is your time gathering all notes and draft you make, and tidying them into one coherent pattern in your notebook for yourself. So it's up to you to use any language or any writing method you like, as long as you will understand anytime you reopen the notebook. You don't have to care if your knitter friend open the book and don't understand what you write in there. The notes is only for you. 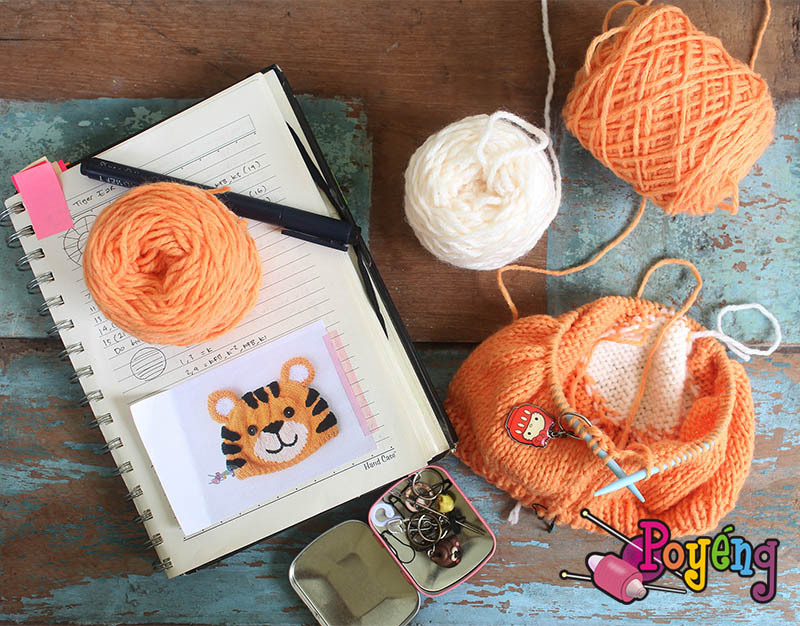 So if someday you want to remake the knitting again, you just have to open the notebook. This step only be done if you want others to use your pattern too (free or not). Try to put yourself in other knitter shoes and imagine what kind of knitting pattern they/you like to follow and read, then try to rewrite your pattern in that way. After that you can show it into other fellow knitter(s) you know and trust to ask for feedback and also to test knit it. Along with the time and experiences, you will find your own writing style.